We are living in an age of machines and artificial intelligence (AI) but nothing can beat the emotional intelligence (EI) of an artisan when he is working on a fabric,” said textile conservationist Rajeev Sethi, while responding to a comment by Srinagar-based Pashmina embroidery artist Bashir Ahmad Jan, on how “machine-made stuff and commerce have sidelined their craft lately”. “With your EI you will always stay one step ahead of AI. What is urgently required is an effort to reposition your skills vis-a-vis market forces,” added Sethi, Founder Trustee and Chairman of Asian Heritage Foundation (AHF), a Delhi-based organisation working with craftspersons from across the continent. The conversation was part of a dialogue with a group of artisans from across the country, such as Jan, on the sidelines of an exhibition to announce the country’s first handmade textile biennales, for which the Ministry of Textiles has partnered with AHF. 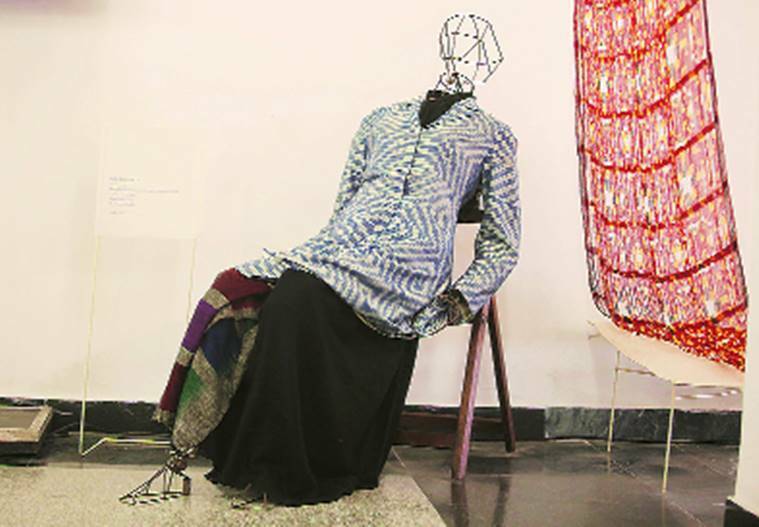 “The aim of the biennales is to reposition the skill of these textile artisans and give them a pehchaan before these traditions move to the museum,” said Sethi. While the finer details are still being worked out and more partners will be involved in due course, including the respective state governments, the four-day curtain-raiser exhibition at the newly refurbished Handloom Haat, Janpath, comprises 110 items sourced from AHF, the artisans’ own collections, several personal collections and from those of textile revivalists Kamaladevi Chattopadhyay and Martand Singh, stored at Crafts Museum, Pragati Maidan. Designed by Siddhartha Chatterjee of See Change, the display comprises saris, dupattas, turbans, upholstery, khadi rugs and furnishings, among others.